Using the fiber arts as a therapeutic modality is a new and emerging field. There is no doubt, with recent research to prove, that engaging in the fiber arts can be very beneficial in a therapeutic aspect. The repetitive movement, the soft fibers, the visual progress and a completed item all can be quite gratifying. Using an item that has been made by hand can bring a higher level of satisfaction with a garment or item, it can have more meaning in our world of toss away goods. Using fiber arts in a therapeutic capacity gives the participant a wide range of options that can be tailored to abilities and preferences. Passive benefits have been found to create a more relaxed atmosphere and decrease anxiety when in the near proximity of a person creating in the fiber arts. The repetitive motion and relaxing air created by the fiber art positively affects those nearby. Most fiber arts are portable so the participant can take it with them if allowed to use at any time. Some people may need the comfort of their project at times away, or if boredom can be an issue thus having their project at hand to work on can distract in idle time. Fiber arts can be enjoyed by anyone, just about anywhere and it can assist in relaxation and personal fulfillment for many. 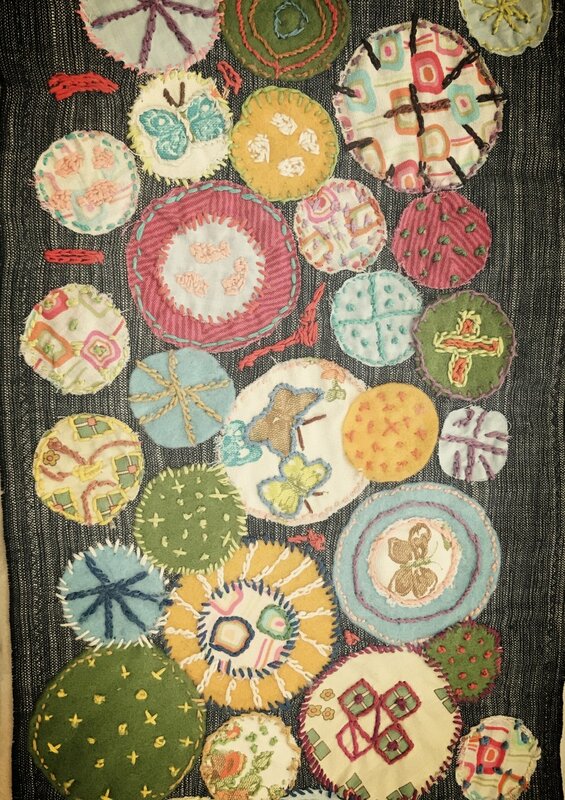 Fiber arts as therapy can be used for most populations and is not gender specific. It has been used in jails with both male and female inmates as well as in other institutional settings. Physical, social, rehabilitative and emotional issues can be touched on in a fiber arts setting. Clients can work in groups or as individuals, cooperatively or on their own. Having a project for focus can create a more open environment for dialogue and expression with limited eye contact and visual cues dampened for those who are sensitive. The fiber arts can be exacting or free flowing. They do not 'break' and can be undone and reused which can be a wonderful metaphor for second chances and starting over with grace. Each fiber art has boundaries and edges, a beginning and an end which are well defined thus creating a safe space in which to explore or follow. Starting a Therapeutic Fiber Arts program can be a wonderful addition for any facility, program or individual. Let Sandra assist you in creating a program and gentle space for Therapeutic Fiber Arts to fit your group, facility or personal needs.